Young children are born into a digital world and it is not unusual to see preschool children intuitively swiping screens and confidently pressing buttons. There is much debate about the impact of the increased access to technology on young children’s health and wellbeing with claims that it damages their social skills and emotional development. This timely new textbook examines how developments in technology, particularly mobile and touch screen technology, have impacted on children’s lives and how when used appropriately it can support all aspects of their development. 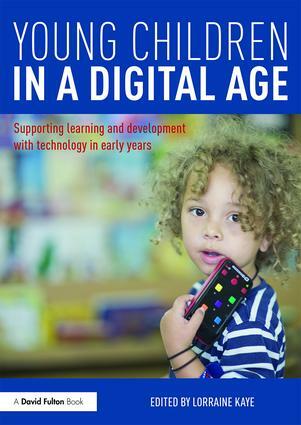 Featuring a wide range of case studies and examples to show how the ideas described can be put into practice, this is essential reading for all early years students and practitioners that want to know how they can harness technology in a meaningful way to support young children’s learning and development. Why are young children so good with technology?